Founders Film Series at Celebration! 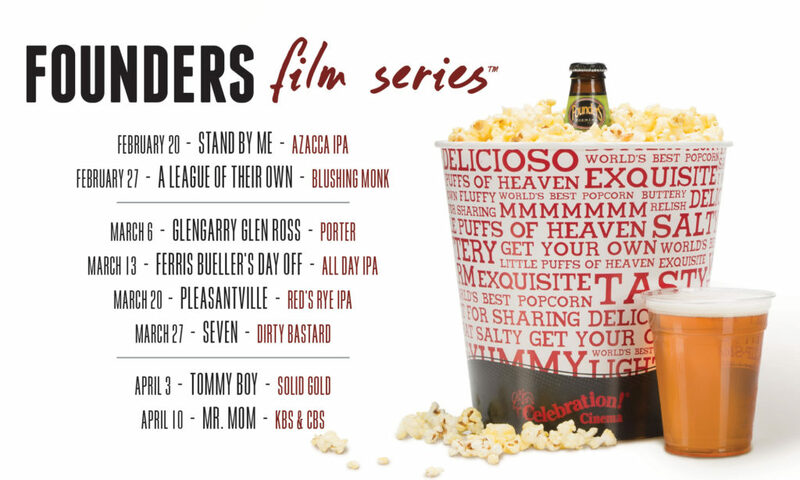 Cinema - Founders Brewing Co.
Posted on January 31, 2019 by Founders Brewing Co.
Tickets are $2 each or $30 for a season pass. Season passes include one weekly film and one weekly featured beer. Tickets are included with each season pass, but admission is not guaranteed. Be sure to get there early to ensure a seat and kick back with a beer!